Got festival fever this summer girl? 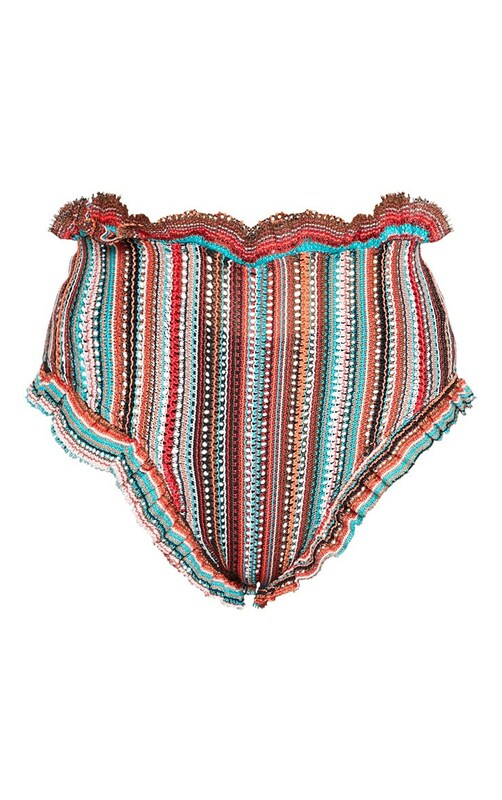 These knickers will make sure you're looking fresh. Featuring a multi crochet fabric with a frill trim and high waisted fit, team with the matching crop top and finish the look with lace up boots and statement accessories.